The RESEARCH PAGES for the Walled Towns Friendship Circle. At the WTFC Canterbury Symposium a Technical network for the WTFC was satblished under the control of Carlos Marin at Arabarri, Alava. The following instructions will take you to the current Facebook presence. 1. Open www.facebook.com and register (we'd suggest to create a "professional profile" with little personal details. A photo would be welcome). 2. Look up the "WTFC Walled Towns Technical Network" group. Click the "groups" icon, then type key words. 3. Ask admins to be invited to the group. This is necessary as it is a "private" group: not everybody may post in it, only admitted members. This allows us to avoid spammers. We're all looking forward to having you in the group. It will be a most useful tool for the Circle. Any question you have, don't hesitate to contact us in this email address. PS: You might receive twice or even more times this email. We're trying to avoid this by correcting the email address list we have. In the meantime, we apologize and beg your patience. Plans are afoot to link it to the 'Heritage Zone' being developed by brian Smith of the European Association of Historic Towns and Regions (EAHTR). In November 2008, DMB gave a paper at the BREDA (NETHERLANDS NHTV 'Unheard Voices in Tourism' Conference discussing ARCHWAY outcomes. AUG 2008 – the ARCHWAY project is now basically complete – see good practice guides on the official website. In May 2008 With Tomi Bregovec, DMB reported the Tourism findings at Encuentros - an annual conference organised in Portoroz (Piran)by Turistica , Faculty of the Primorska University, Slovenia. 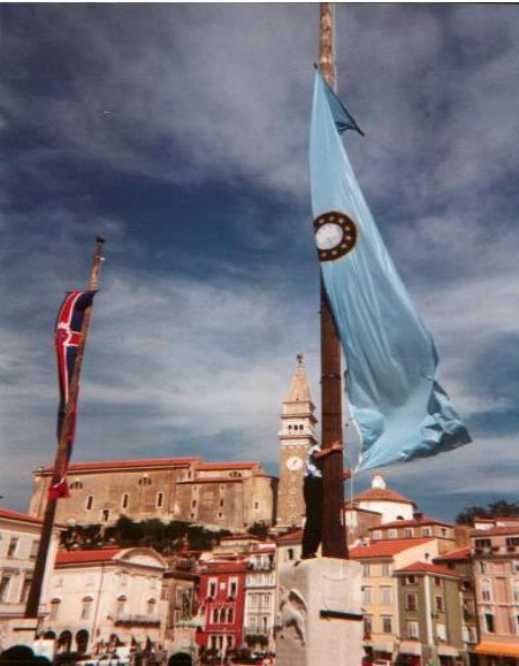 In 2007 November and January and November 2006 UWE, Bristol students with DMB visited Piran to study its tourism. Staying within the old town, we were once again made most welcome by the people and municipality of Piran. August 2006 - January 2007 David Bruce was awarded a research sabbatical Fellowship by University of West of England, Bristol to study the integration of tourism into the strategic management of historic (walled) towns. Outputs from the fellowship are listed below. March, April, October, November 2006 and April, June, October and December 2005have seen ARCHWAY workshops successfully held in 's-Hertogenbosch, Valetta, Vittoria-Gasteiz (Arabarri), Piran and Lucca.. Details are on the WTFC ARCHWAY pages. The first workshop on 'Conservation' was chaired by DMB. The topic was 'Conservation, Regeneration and Enhancement of Walled and Historic Towns'. Chester is co-ordinating the project and mounting the final plenary conference on 27th/28th June 2007. Some detail is available on the 'Arabarri' town consortium (Spain)' and on Piran (Slovenia): further detail on all these partner towns is available on the project website itself. March 2005 UWE Bristol students with DMB and Jeff Hurran visited Tenby to study its tourism. Staying at the Fourcroft Hotel, we were made most welcome by Peter Osborne,MBE. The attached gives an idea of the town. February 2005 Oxford University Department of Continuing Education' weekend seminar 'City Walls and City Identities AD 900-1650' WTFC featured in the final presentation (by DMB): Living Walled Towns: perception and heritage'( Presentation). Other presentations covered mainly UK and Ireland medieval town walls. At the Seminar Bob Higham and Oliver Creighton of Exeter University launched their book 'Medieval Town Walls: an Archaeology and Social History of Urban Defence'. Sept 2004: The first partners' meeting for 'Archway' took place at the Chichester Walled Towns Friendship Circle Symposium on September 13th. 26th Aug 2004: The 'ARCHWAY' project has been accepted (subject to conditions) for InterregIIIc funding from the European Commission; it includes provision for developing the Academic Chapter (see below) and further research activities on walled towns. Led by Chester City Council for the Walled Towns, UWE Bristol will be the academic advisory partner and five towns will host workshops - Valletta (Malta), 's-Hertogenbosch (Netherlands), the 'Arabarri' town consortium (Spain), Piran (Slovenia) and Lucca (Italy). 26th Aug 2004: Please find newly published Research Note by Prof. Stanko Geic of University of Split (edited by DMB): The walled historic town of Trogir: the significance of tourism for this part of the World's Heritage in Croatia. and newly published, Soave 2002 Symposium Presentation on mid Dalmatian Historic Towns also by Prof. Stanko Geic of University of Split. and at 'ARCHWAY' workshops in Piran Oct and Lucca Nov 2006. The following is a list of DMB publications (in reverse date order) relevant to walled towns and tourism since the foundation of the Circle in 1991. Where available, links are provided to full text versions of these papers. In other cases please e-mail me and I will be able to advise you how to obtain a copy. Bruce D.M. and Jackson M.J. (1999) Measuring Sustainability in Tourism - Lessons from a study of Chepstow for other European walled towns, in Foley M., McGillivray D., McPherson G. (Eds. ), Leisure, Tourism and Environment: Sustainability and Environmental Policies, LSA Publication No.50 (Part 1), Brighton, 141-155. Bruce D.M. (1997), Towards a sustainability indicator for tourism transport, ‘Interdisciplinary Strands’ Journal of the Interdisciplinary Research Association No7 autumn, 4-8. Bruce D.M. and Serra Cantallops A. (1996), The walled town of Alcúdia as a focus for an alternative tourism in Mallorca, in Briguglio L., Butler R., Harrison D. and Leal Filho W. (Eds. ), Sustainable Tourism in Islands and Small States: Vol. II Case Studies, Pinter, London, 241-261. Bruce D.M., Collins S., Laban,P. and Lloyd F. (1993) A Handbook of Good Practice for Sustainable Tourism in Walled Towns - Report to European Commission, Directorate General XXIII (Tourism) 92/C 51/16 (with appendices), Walled Towns Friendship Circle, Tenby. Jackson, M.J. and Bruce, D.M. (1992), Monitoring and Evaluating a Tourism Development Programme: A Study of Chepstow, in Johnson, P. and Thomas, B. (Eds) Perspectives on Tourism Policy, Mansell, London, 105-121. 2. 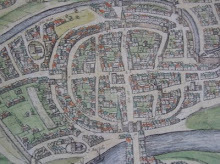 2005 "Living Walled Towns: perception and heritage' at Oxford University seminar 'City Walls and City Identities AD 900-1650' ( Presentation). 2003 What is the sound of your town? WTFC 13th International Symposium Waterford, Ireland Presentation available "What does your town sound like?" Town walls have always played a critical role in shaping the identities and images of the communities they embrace. Today, the surviving fabric of urban defences and the townscapes they define are features of heritage holding great potential as cultural resources but ,in management terms, pose substantial challenges, practical and philosophical. Town walls can be conceptualised as a ‘dissonant’ form of heritage whose value is frequently contested between different interest groups and whose meanings are not static but can be re-written. Evidence is gathered from walled towns across Europe, including member towns of the WTFC (Walled Towns Friendship Circle) and inscribed UNESCO World Heritage Sites, to explore the cyclical biographies of town walls in their transformation from civic monuments, through phases of neglect, decay and destruction to their current status as cherished cultural resources. To explore this area of interface between archaeology and tourism studies, the varying attitudes of populations and heritage agencies to walled heritage are reviewed through examination of policies of conservation, preservation, presentation and restoration. Areas of commonality are thus identified. a 'working' bibliography for walled towns tourism will also be available as a link here but the material is currently being updated. Views expressed in this website should not be taken as those of University of West of England, Bristol or the Walled Towns Friendship Circle. The author has no control over links referred to on this website but has taken every care to ensure that ensure that no defamatory or otherwise inappropriate material is to be found anywhere on this website. Working papers and other materials offered for download are done so in the spirit of academic exchange and remain copyright of the author(s).